Book your transfer with Perth City Shuttle on our Airport Shuttle Bus service today! At Perth City Shuttle our Airport Shuttle Bus service is available for transfers between Perth Airport, and 50 locations across Australia. The Airport Shuttle Bus service aboard Perth City Shuttle is an affordable on-demand door-to-door shuttle service. Your vehicle will be shared with others and will make stops for passengers travelling nearby. Your pick-up and travel time is flexible and will be adjusted to suit all passengers travelling together while making sure everyone gets to their destination on time. Our Airport Shuttle Bus service is available 24 hours a day 7 days a week and can be booked up to 24 hours ahead of travel. At Perth City Shuttle we offer fixed transfer fares starting from $26.67 AUD total one-way and with enough seat capacity for up to 6 passengers. Your final fare with us includes luggage allowance for 1 carry-on bag and 1 check-in bag per passenger. Also included in all our fares are airport parking fees, any tolls along the route and your drivers waiting time. 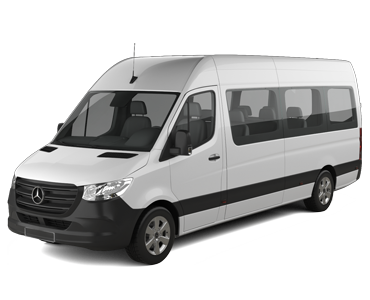 Perth City Shuttle is a transport company based in Australia and we have been a professional transport supplier on Jayride since March 2017. Perth City Shuttle provides a cost effective way to start or finish your visit to Perth City, South Perth, Como, Fremantle, Fremantle Passenger Terminal, Scarborough, Sorrento and Cottesloe. This reliable door- to- door service meets all flights arriving and departing at Perth Airports (PER) and uses comfortable air- conditioned vehicles to take you from the Perth Domestic or International Airports (PER) to your Perth City, South Perth, Como, Fremantle, Fremantle Passenger Terminal, Scarborough, Sorrento and Cottesloe hotel or vice versa. Great service! Driver was on time, friendly, helpful and nice clean car. What a superb service! The driver was very pleasant and welcoming. The drive was comfortable and safe with the driver describing certain points on the route. I will have no hesitation using the service in future. The gentleman was there waiting for us when we got through security with my name on a sign. Great sense of humour and very informative on the trip into perth. Got us all into his van which was spotless. Would recommend to all. Your driver arrived exactly on time. The transfer was very smooth and enjoyable as I was the only passenger the driver engaged with me during the journey. I can say with certainty that if I need to undertake the transfer in the future you would be my first port of call. Excellent. Driver waiting for us after plane delayed. Gave us lots of info on way to hotel.